http or https? 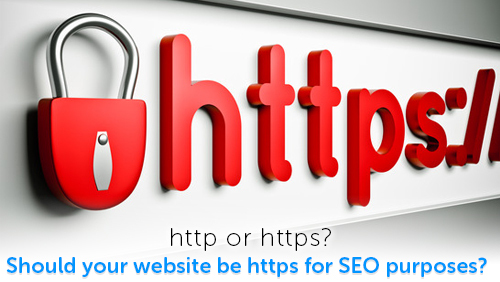 Should your website be https for SEO purposes? only reasonable for website owners and bloggers alike to pay attention and hear what this giant search engine has to say. For example, if Google says that mobile responsive websites attract more traffic, you should make your website mobile-friendly right away. If Google tells you that it will penalize websites for slow load time, then you'd better optimize your website's load time ASAP. Recently, Google has generously revealed another dark secret about its mysterious algorithm by telling webmasters that https actually matters. According to Google, "Security is a top priority for Google. We invest a lot in making sure that our services use industry-leading security, like strong HTTPS encryption by default." The campaign, "HTTPS everywhere," is Google's attempt to encourage more webmasters to adopt HTTPS (also known as HTTP over TLS, or Transport Layer Security) on their website. By making HTTPS a ranking signal, Google achieves its purposes of not only promoting higher website security, but also improved user experience. HTTP vs. HTTPS: Is there a difference? On an artificial level, HTTP does not drastically differ from HTTPS. After all, the only obvious difference so far is the presence of "s" in HTTPS, and the lack of it in HTTP. However, HTTP and HTTPS vary greatly when it comes to website security. HTTP (or hypertext transfer protocol) is the way a Web server communicates with browsers such as Internet Explorer® and Mozilla Firefox®. While HTTP lets visitors view a website and send information back to the Web server without much scrutiny and protection, HTTPS (or hypertext transfer protocol secure) protects you and your website through a secure certificate known as an SSL (Secure Sockets Layer). RELATED POST: Common mistakes with small business websites. If you have ever used Internet Explorer® or Mozilla Firebox®, you may have noticed that some websites display a padlock icon right before its url. The padlock icon is the sign that the connection has been secured against all man-in-the-middle and eavesdropping attacks. Websites that monitor all communication through a secured connection uses encryption to prevent third-parties from eavesdropping on communications that are being sent to and from the server. A secured website that begins with HTTPS not only demonstrates data integrity but also gives visitors the peace of mind that their online activity is protected from malicious attacks. With booming Internet trends and fraud, a secured website that display HTTPS at the beginning of its url communicate authentication, data integrity, and encryption that altogether promote a better and safer user experience. Visitors who found your website through organic search are more likely to engage with you because they know that the information they provide is securely transmitted to prevent attackers from gaining website accounts and other sensitive information. As SiteProNews.com points out, HTTPS is a collaborative effort toward a safer virtual community. SEO and Google ranking are simply a part of the package to give webmasters the incentive to make the switch. "That said, if you do run an ecommerce site, your motivation should be the safety of your customer's data, and their peace of mind. That far trumps the importance or relevance of minuscule SEO increases..."
Changing from HTTP to HTTPS is truly a win-win situation that promises improved website performance and a safer user experience. The switch is simple, while the cost is definitely affordable. 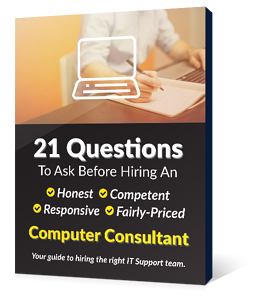 Ask our in-house experts at EnvisionIT, and we will tell you how.